King’s College London is awarded PhD scholarships for international students from any country. King's has recently announced support for a number of PhD scholarships for international students wishing to commence their research programmes in 2016-17. 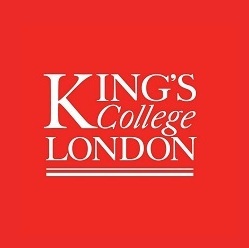 These scholarships are offered for those applicants who wishing to commence their research programs at King’s College London under the University of Hong Kong in UK. Applications for joint PhD programmes must be approved by both King’s College London and the University of Hong Kong before a formal offer can be made. As such, the process may take longer than for a single PhD programme.